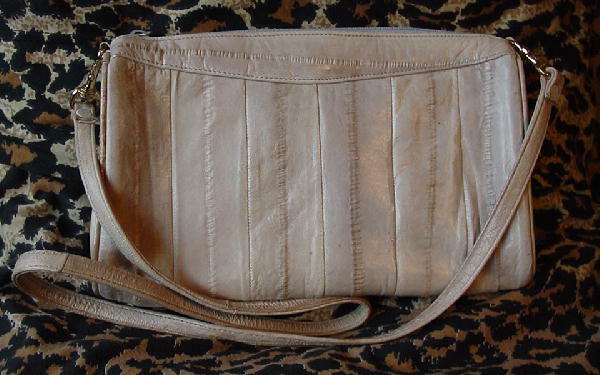 This vintage bone-beige with a touch of pale gray eelskin purse has a top side to side gray zipper opening. 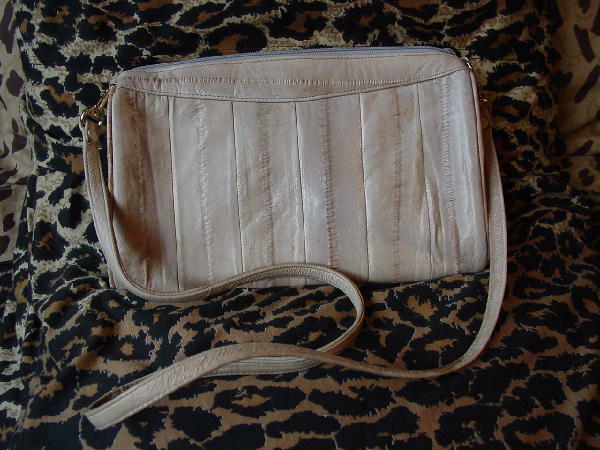 It has wide vertical strips of eelskin and a 37 1/2" long eelskin detachable shoulder strap, which is attached to the purse by gold-tone (closed) hooks. The interior lining is a pale light gray suede with a roomy zipper compartment with a dark steel gray fabric lining. The vertical panels are accented by wide fat wrinkles.